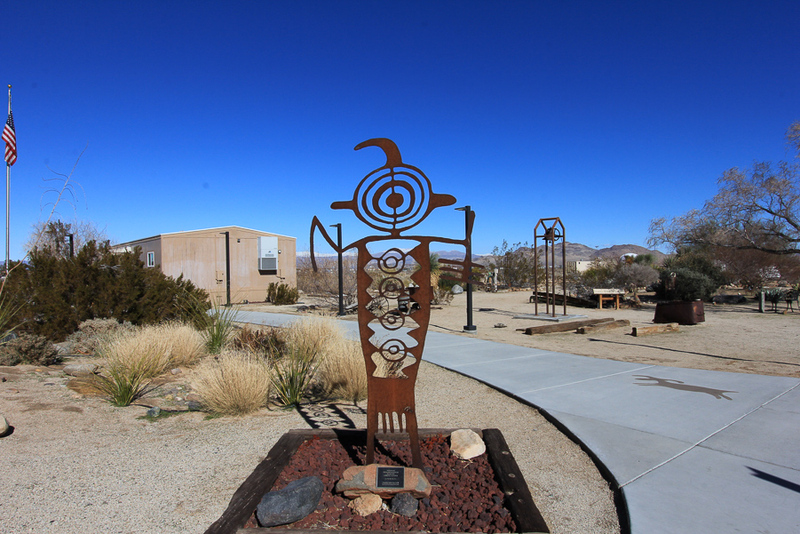 January 25, 2017 - To celebrate the new year we drove north into the Indian Wells Valley in the upper Mojave Desert. 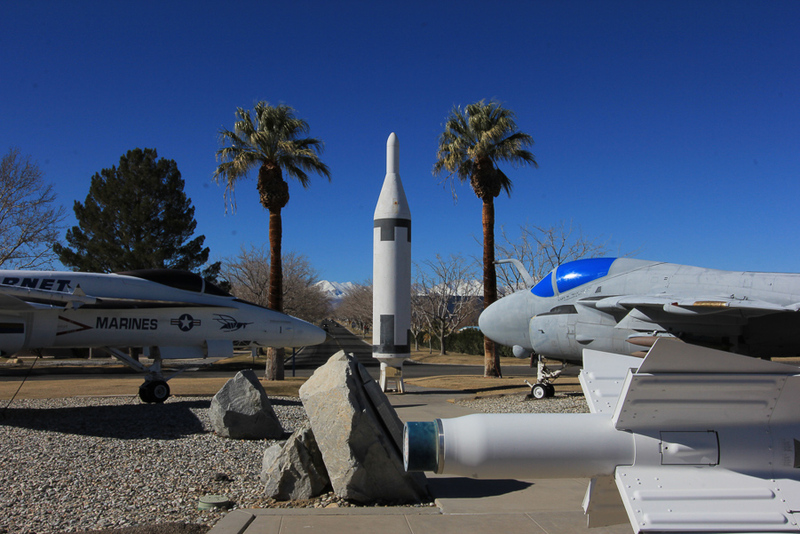 The valley contains the communities of Ridgecrest and Inyokern and it is dominated by the Naval Air Weapons Station in China Lake. 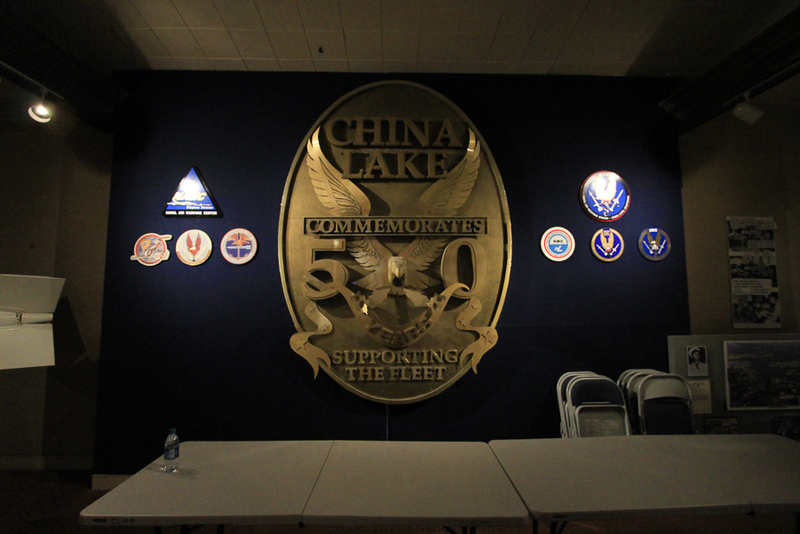 China Lake is the United States Navy's largest single piece of real estate, spreading across Kern, San Bernardino and Inyo counties. 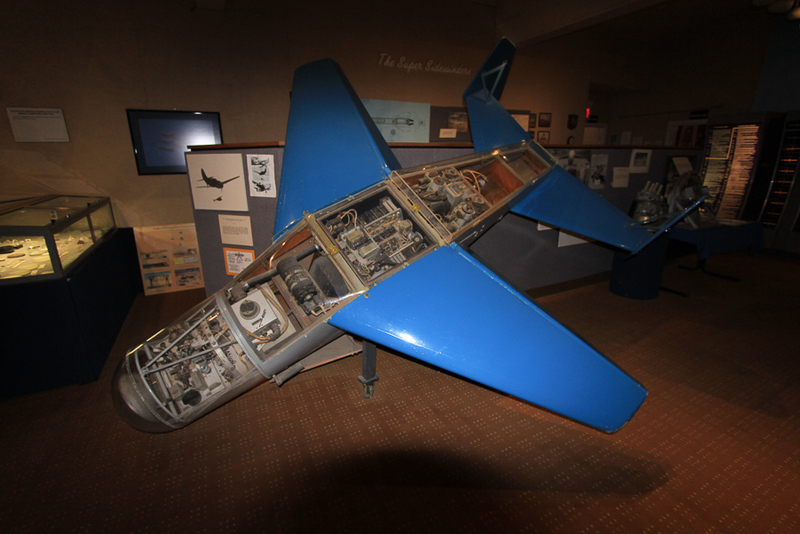 It represents 85% of the Navy’s land for weapons and armaments research, development, acquisition, testing and evaluation and 38% of the Navy’s land holdings worldwide. 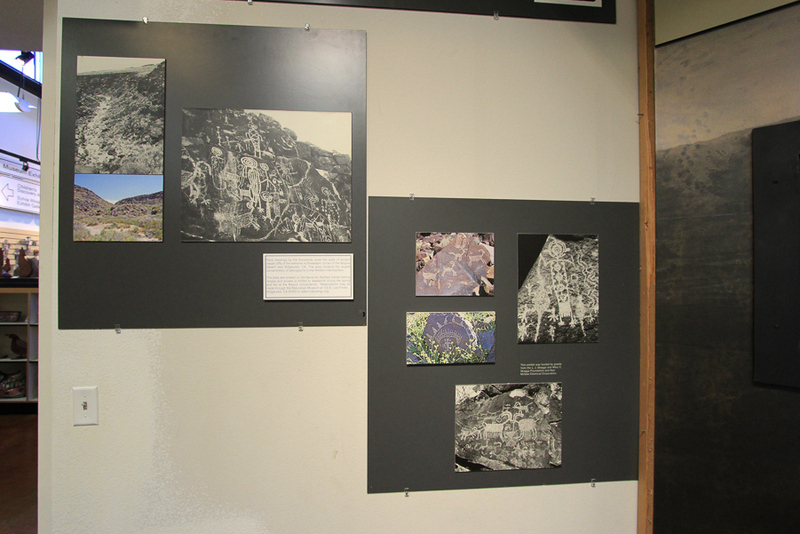 In total, its two ranges and main site cover more than 1,100,000 acres, an area larger than the state of Rhode Island. The roughly $3 billion infrastructure consists of 2,132 buildings and facilities, 329 miles of paved roads, and 1,801 miles of unpaved roads. 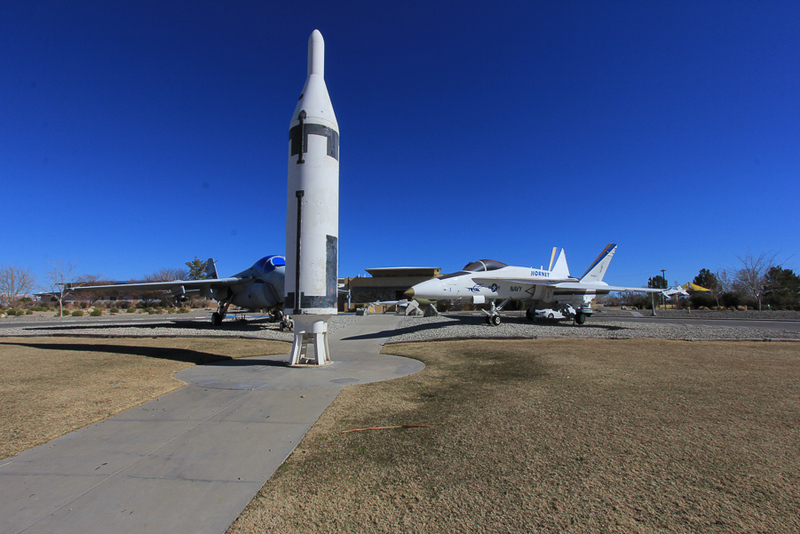 The base is formally known as the Naval Air Weapons Station China Lake. 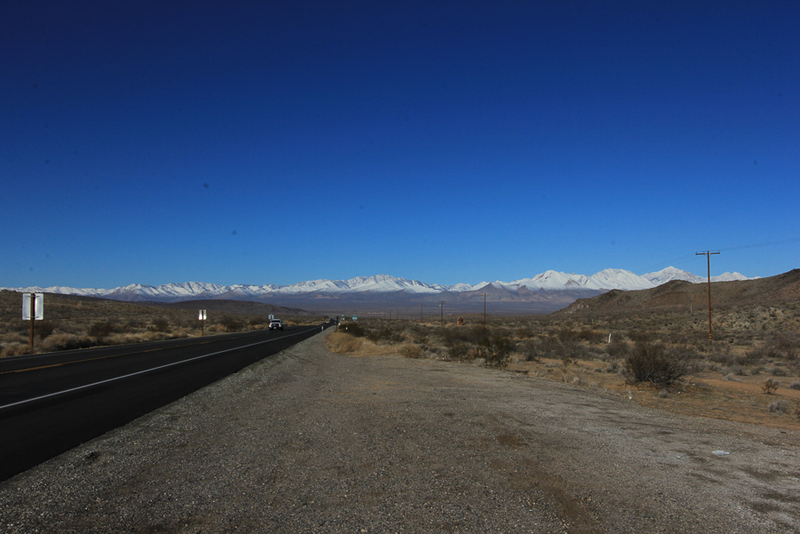 The drive through the Mojave was spectacular since most of mountain ranges we saw were snow covered, like this shot of the El Paso Mountains. 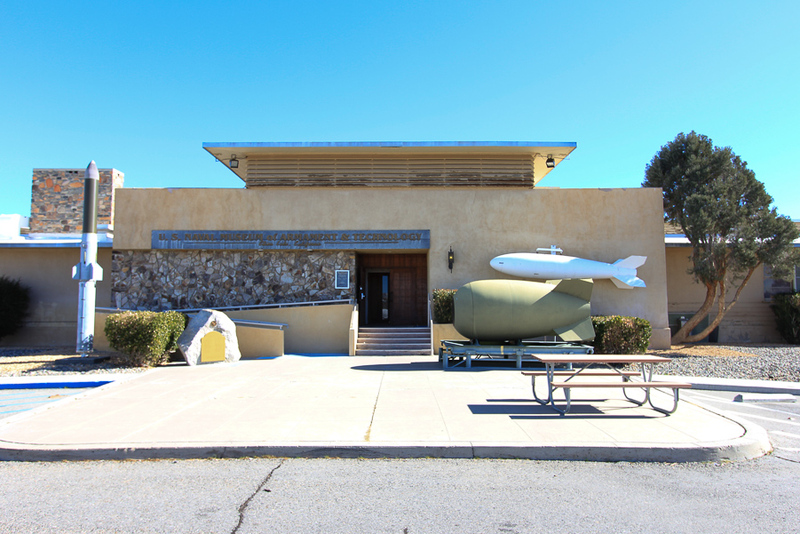 When we arrived in Ridgecrest we went through Navy security in order to gain access to the US Naval Museum of Armament and Technology, which is located within the base. Since this base deals in top secret weaponry, the 45 minute wait to pass their security check was understandable. 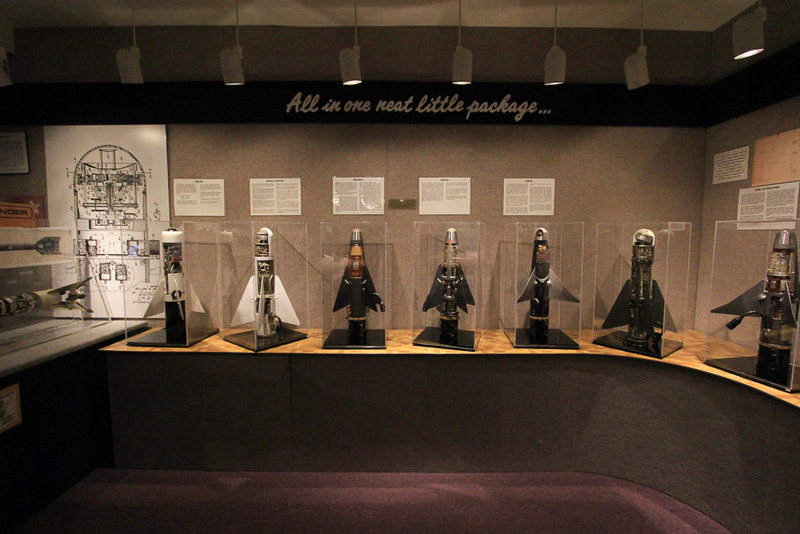 There are a lot of missiles, rockets, bombs and "smart bombs" on display. 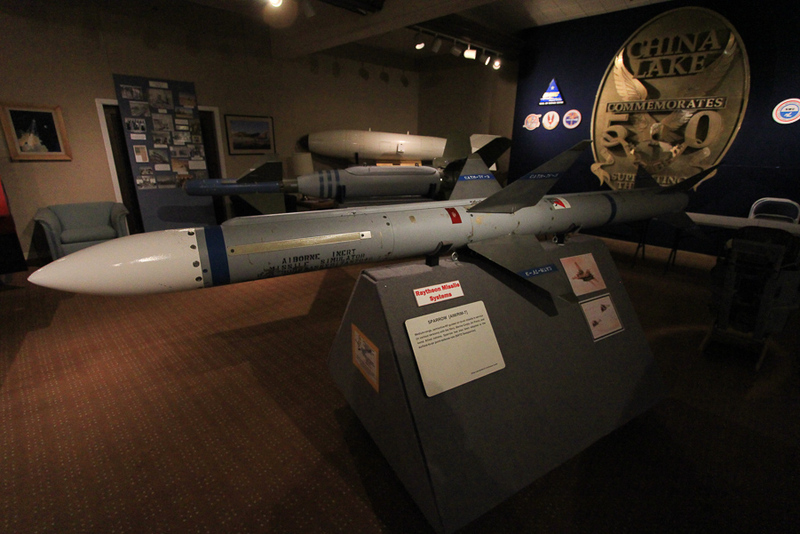 While we didn't fully comprehend all of the technology involved, we did learn the four main components of a guided missile. 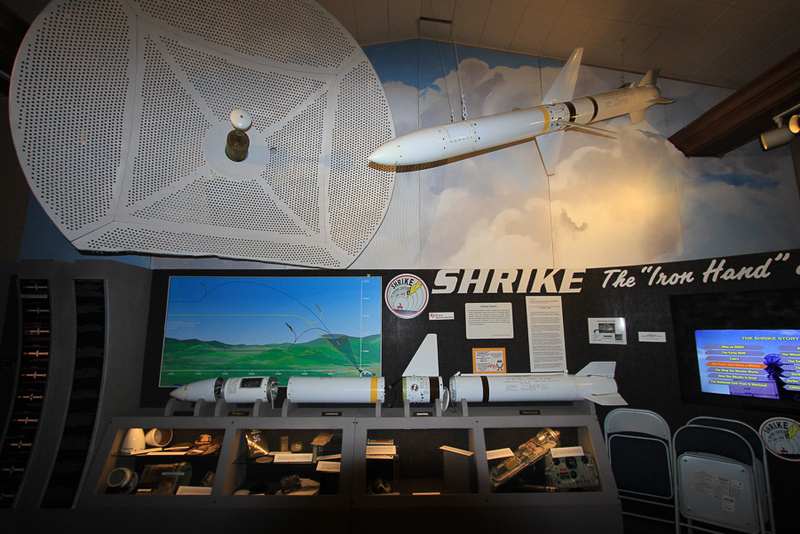 One section provides the guidance to direct the missile to its target. 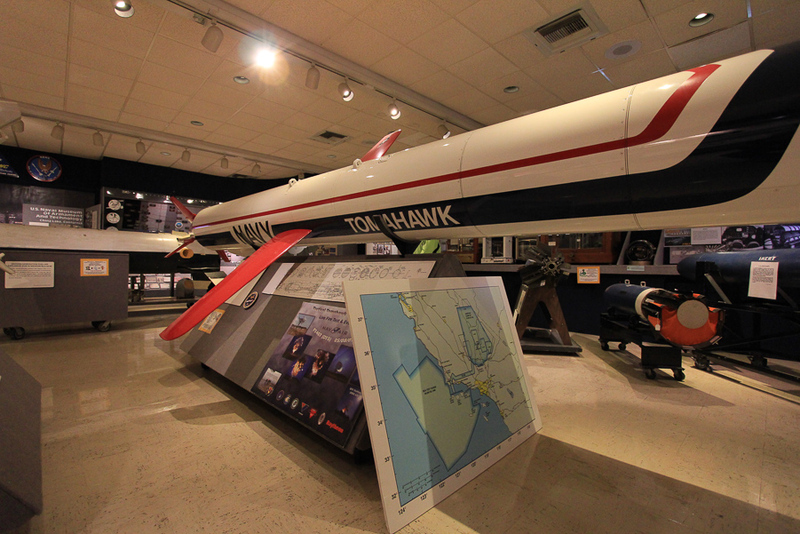 There is a control section that steers the missile based on the guidance and there's the propulsion section that provides the thrust to power the missile's flight. The fourth section is the ordinance section, which is the explosive charge that detonates on impact, or in close proximity to the target. 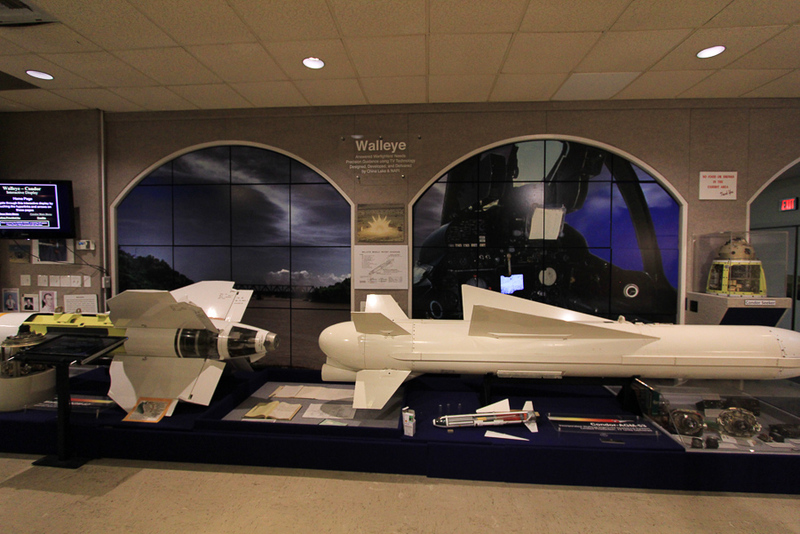 There is a unique satisfaction in seeing and touching a Sidewinder missile, a Cruise missile, a Tomahawk, etc. 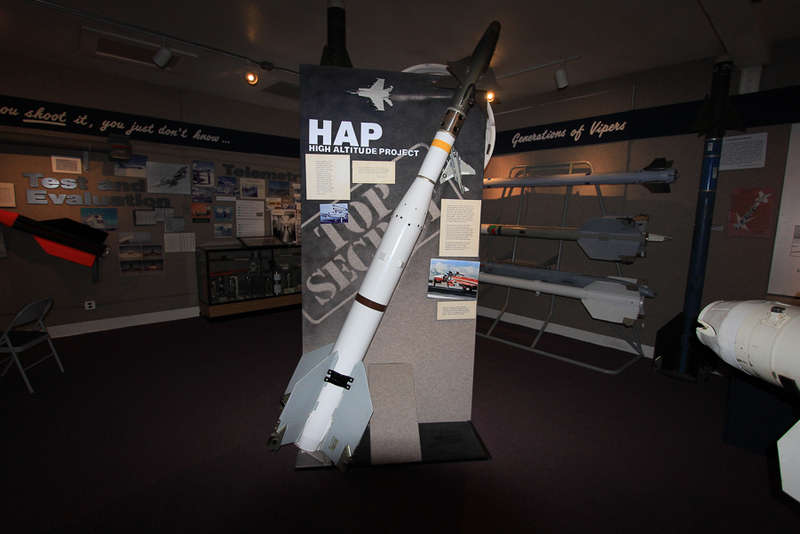 In the 1950s the Navy initiated a program to design a heat-seeking Air-to-Air missile for the intercept of bombers by Naval fighter aircraft. 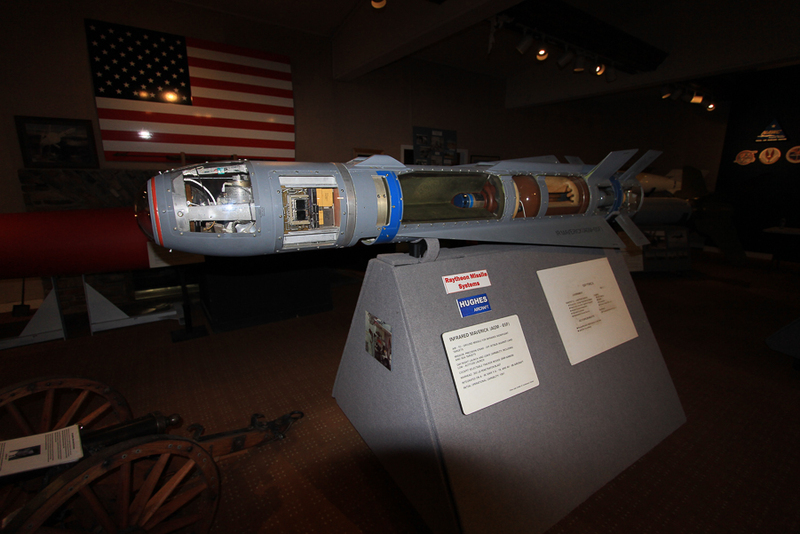 The missile was aptly named the "Sidewinder," a desert rattlesnake which detects its prey by sensing the animal's heat emissions. 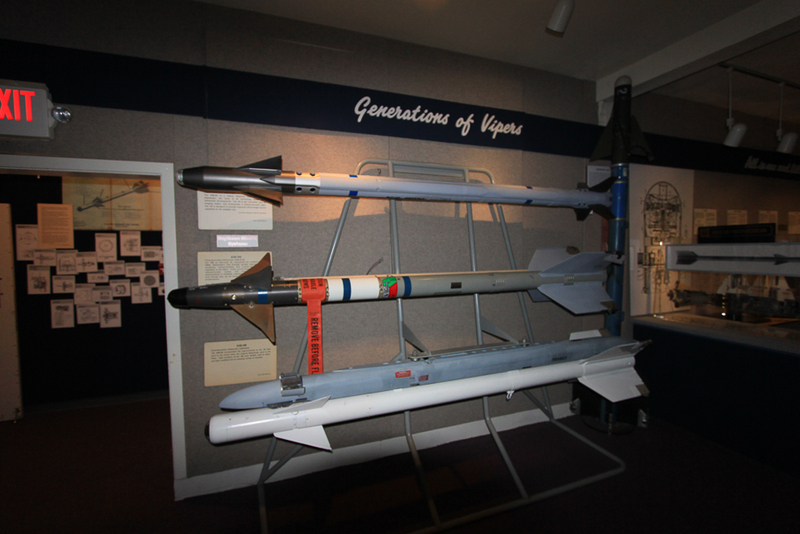 Here are examples of the guidance and control sections of a Sidewinder missile as it evolved over time. 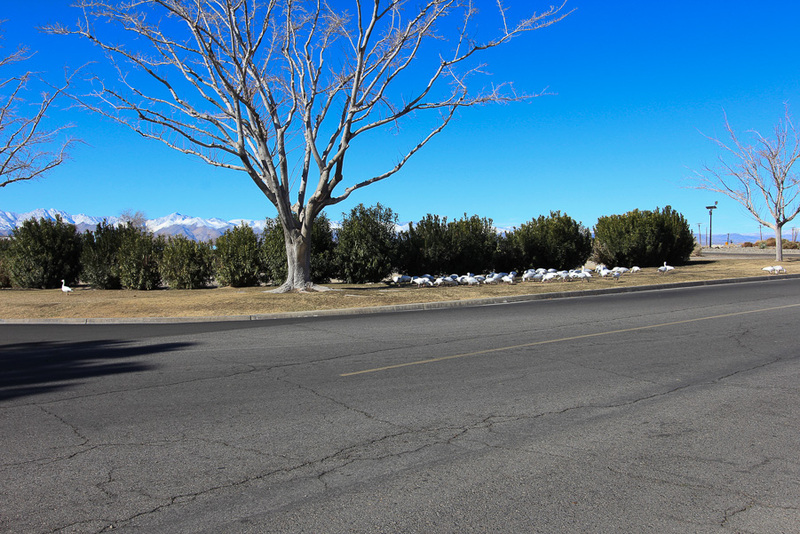 As we left the museum, we saw hundreds of snow geese that stop at the base during their annual migration. 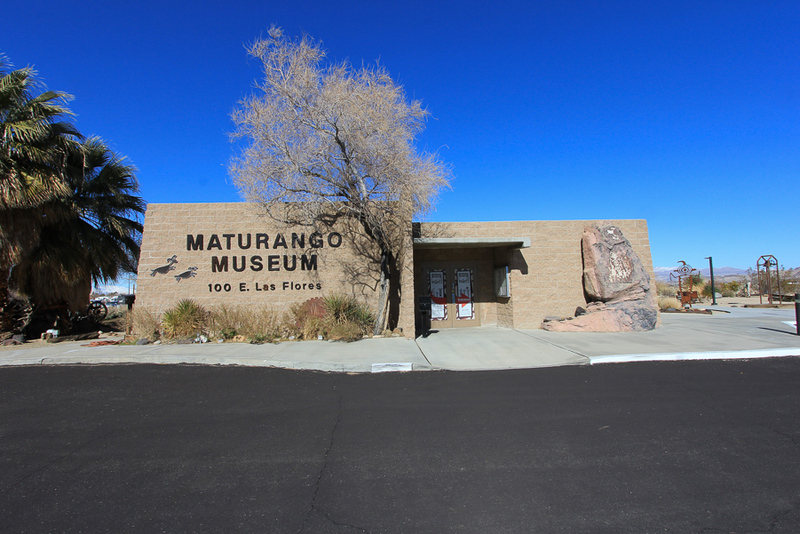 Our second stop was at the Maturango Museum, also located in Ridgecrest. 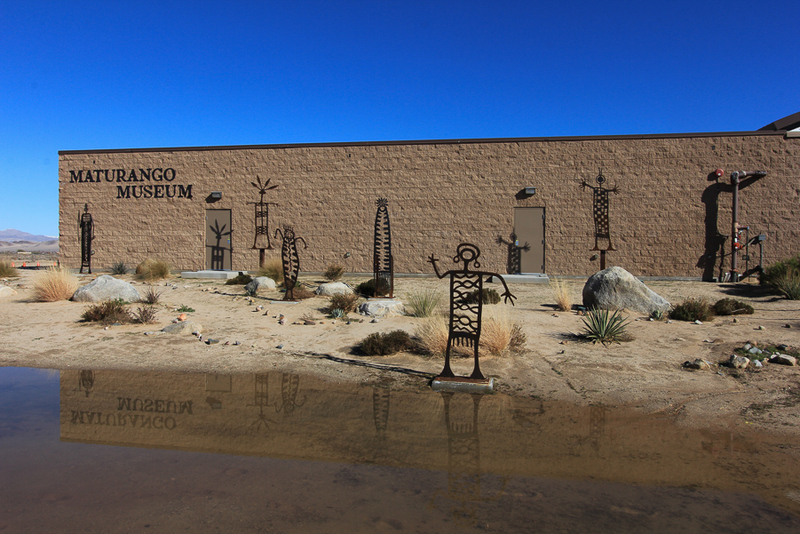 This museum highlights the nearby Coso Rock Art District, containing the Big and Little Petroglyph Canyons, which are rock art sites containing over 100,000 Paleo-Indian and/or Native American petroglyphs. 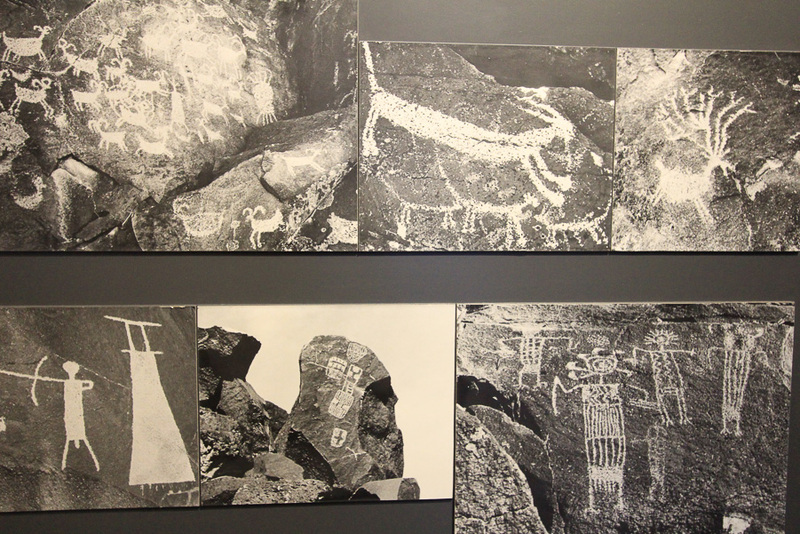 In addition to the exhibit galleries, which feature the natural and cultural history of the Upper Mojave Desert, the Museum sponsors many programs and tours, including tours to the world-famous Coso petroglyphs. 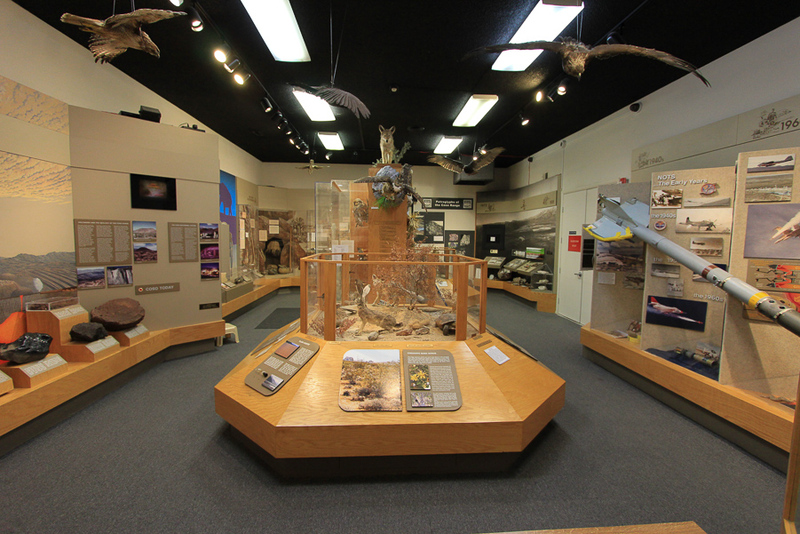 The Museum is an information center for Death Valley, the Northern Mojave Desert, and the Highway 395 and 178 corridors. 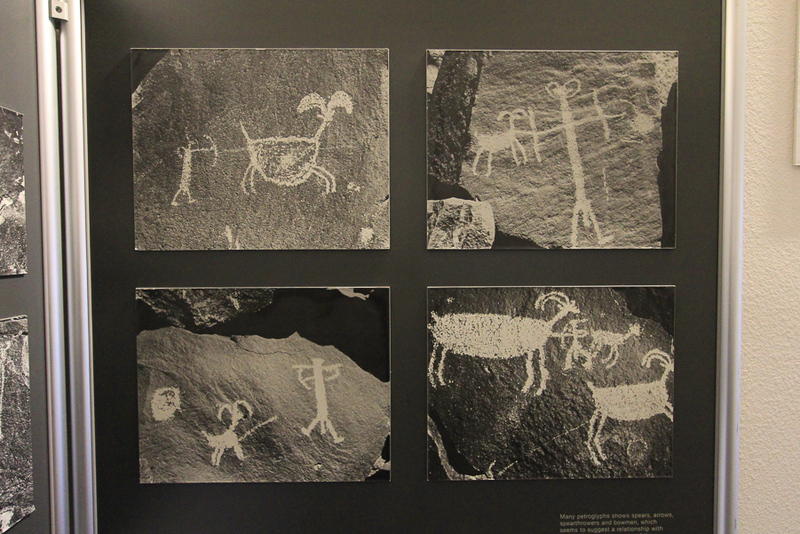 The Museum also has a wonderful collection of Edward Curtis archival prints. 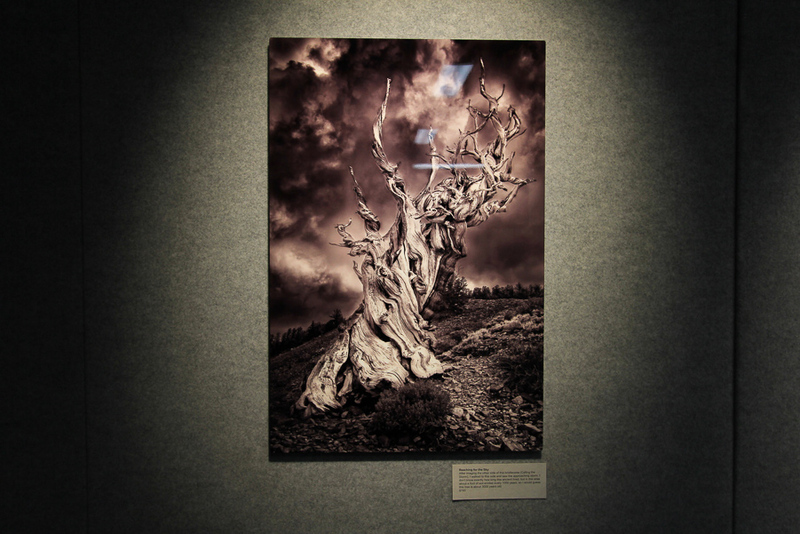 There is also a gallery of photographs by John Aydelotte documenting the "Ancient Bristlecones." Unfortunately we didn't enjoy any fine dining on this adventure since we stopped in Randsburg, CA to have breakfast at the Randsburg General Store, however, it was closed! 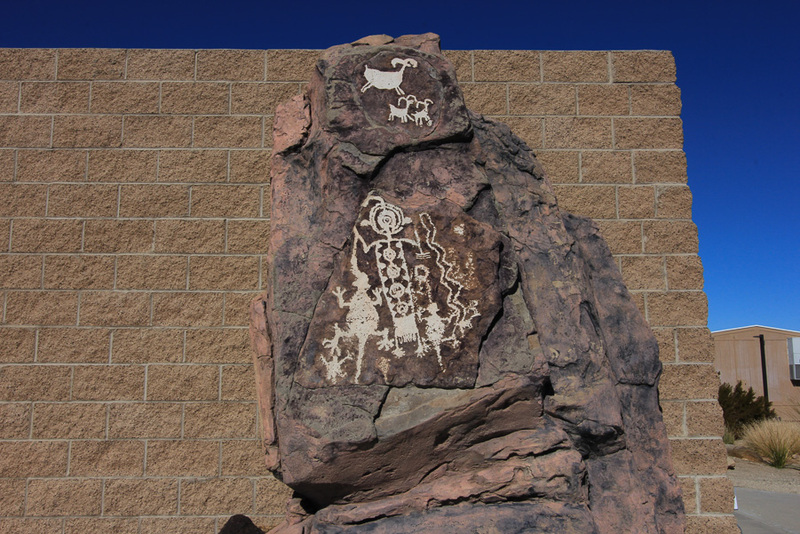 Randsburg is a living ghost town and dining here would have been a lot of fun but, we settled for Denny's in Ridgecrest. The adventure took ten hours in total and we logged in 300 miles up and back. 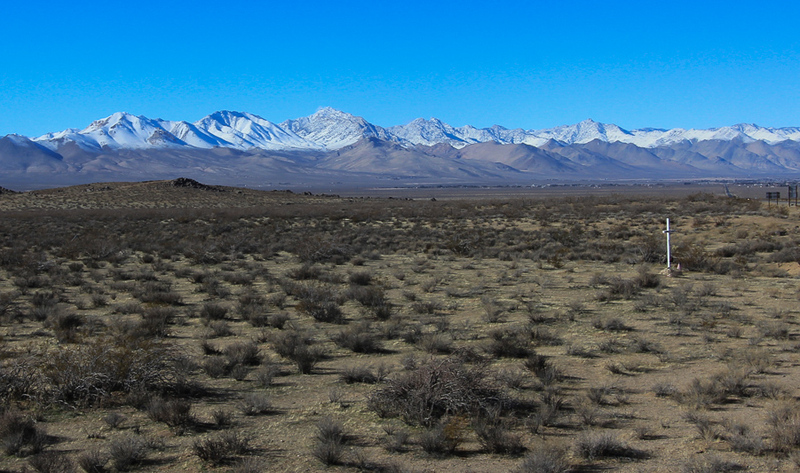 This was our parting view of the Sierra Nevada as we left Ridgecrest.